400 pages | 87 B/W Illus. The Principle of Large Numbers indicates that macro fluctuations have weak microfoundations; persistent business cycles and interrupted technologies can be better characterized by macro vitality and meso foundations. Economic growth is limited by market extent and ecological constraints. The trade-off between stability and complexity is the foundation of cultural diversity and mixed economies. The new science of complexity sheds light on the sources of economic instability and complexity. 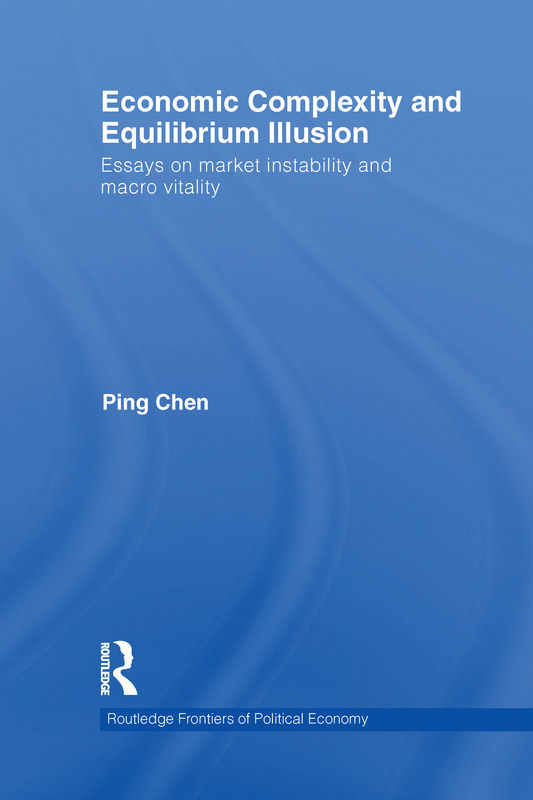 This book consists of the major work of Professor Ping Chen, a pioneer in studying economic chaos and economic complexity. The chapters are selected from works completed since 1987, including original research on evolutionary dynamics of division of labor, empirical and theoretical studies of economic chaos, and stochastic models of collective behavior. Offering a new perspective on market instability and the changing world order, the basic pillars in equilibrium economics are challenging by solid evidence of economic complexity and time asymmetry, including Friedman’s theory of exogenous money and efficient market, the Frisch model of noise-driven cycles, the Lucas model of microfoundations and rational expectations, the Black-Scholes model of option pricing, and the Coase theory of transaction costs. Throughout, a general framework based on complex evolutionary dynamics is developed, which integrates different insights from Smith, Malthus, Marx, Schumpeter, and Keynes and others a new understanding of the evolutionary history of division of labor. This book will be of interest to postgraduates and researchers in Economics, including macroeconomics, financial economics, advanced econometrics, and economic methodology. Ping Chen is a Professor at the National School of Development at Peking University in Beijing, and a Senior Fellow at Center for New Political Economy at Fudan University in Shanghai, China.